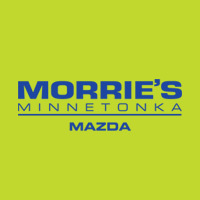 Morrie’s Minnetonka Subaru is throwing a little party to celebrate the Grand Re-Opening of its comprehensively remodeled Minnetonka Subaru location. The fun filled night includes rally cars, food from local food trunks, live tunes from Pho Funk, a racing simulator, climbing wall, interactive art-car demonstration from Juxtaposition and more. Victoria Classic Car Night is quite possibly the best classic car gathering that very few people know about. This event occurs semi-monthly during the summer months and regularly draws hundreds of cars. The event returns tonight at 5pm and runs until 8pm. Read Josh’s recap from the last event a couple weeks ago to get a glimpse of what Victoria Classic Car Night has to offer. Good news! If you want to catch some Formula 1 racing this weekend you don’t need to wake up at the crack of dawn to view it live. This weekend Formula 1 heads to Montreal for the Canadian Grand Prix, a circuit known for drawing a large enthusiastic crowd and some great racing. The race kicks off live at 1pm this Sunday and we’ll open up the doors at Morrie’s Luxury Auto at 12:30pm. In lieu of donuts we might just serve some Canadian approved poutine. A little construction at the Sculpture Garden isn’t stopping the Walker from bringing back its Skyline Mini-Golf course. This time around they moved it to the rooftop so you can tee up on the terrace. 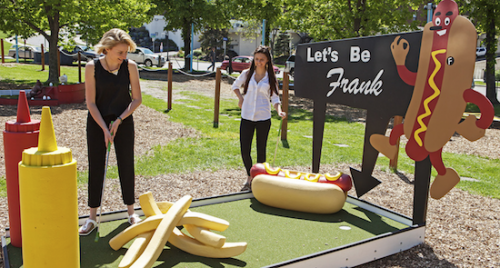 We’re certain it’s the only putt-putt course where you’ll find a giant hot dog, Ping-Pong paddles, a tricky chicken coop, and more. Last time we were in Excelsior, for the 10,000 Lakes Concours, we made a mental note to spend more time there. Fortunately, there’s good reason to visit again this weekend. Excelsior Art on the Lake descends on Excelsior this Saturday and Sunday bringing outstanding artistic works from multiple disciplines.